I don’t think it would be breaking news for me to confess that I’m a big fan of Jennifer Berkshire and the work she does with her EduShyster blog. She’s inspired me to want to do a series of interviews with people who work in education in Tennessee. I think these interviews will be particularly relevant based on the impact Tennessee’s educational policy has on national educational policy. Our proximity to Louisiana, the cast of characters including Kevin Huffman, Todd Dickson, Ravi Gupta, and Chris Barbic, the over investment in politics by Stand For Children, being one of the first states to win Race To The Top money – these things, along with vibrant teacher/parent advocacy groups, have placed us at the forefront of the education reform movement. 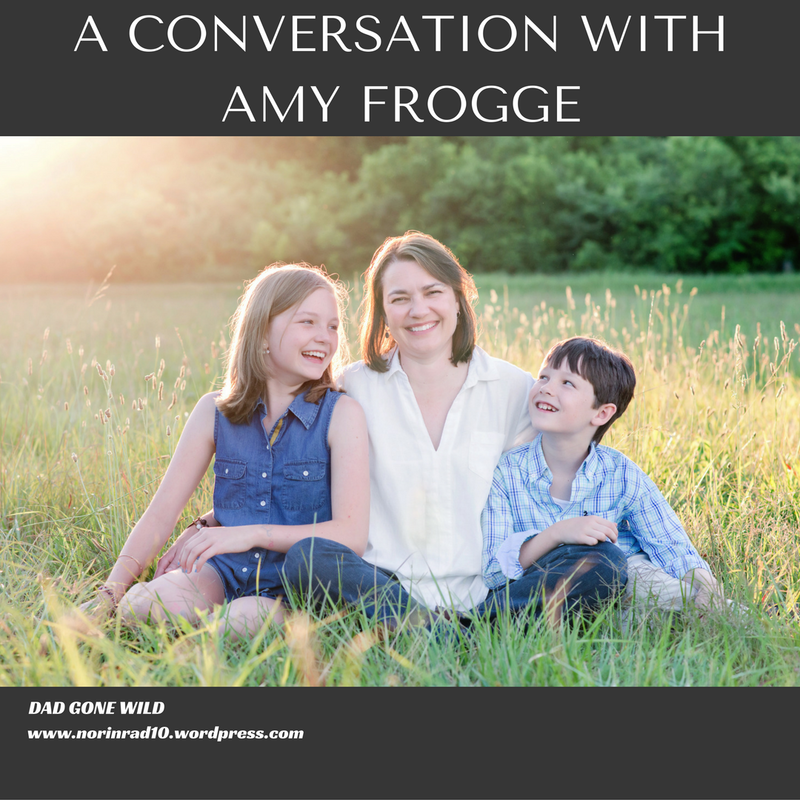 For my first interview, I chose Nashville School Board member Amy Frogge. She is a parent who first decided to run for school board in 2012 and shocked everybody by winning big, despite her opponent raising $113k. And she didn’t win by a narrow margin. Outspent 5-to-1, Frogge beat her opponent by a 2-to-1 ratio — 3,524 votes to 1,725. Over the last four years, Frogge has used her position to fight for Nashville’s public schools. She pushed back against unchecked charter school growth. She fought for expanded recess and increased funding for community schools. She sounded the warning bell about over-testing and called for better treatment of teachers. Basically, she educated us about today’s prevalent issues before we were aware they were even issues. Needless to say, this didn’t make Frogge very popular with the reform crowd. This year, she was up for re-election and along with fellow board member Will Pinkston, became a target for the privatizers. Stand for Children, along with the charter school crowd and the Chamber of Commerce, sunk over $200k in an attempt to defeat her. She failed to receive the endorsement of either the Chamber of Commerce or the local paper. In fact, the local paper used its endorsement release to attack her. They claimed, “Frogge also has served as a disruptive force unwilling to step outside her box and has shown a pattern of being responsive and respectful only when constituents agree with her.” Unfortunately for them, her constituents disagreed, and she went on to win reelection with over 60% of the vote. Dad Gone Wild: Good morning, Amy. I’d like to point out that we’re meeting at the dog park because if I’m not mistaken, your family is not just passionate about schools, but also about rescue animals. Amy Frogge: Good morning. We’ve rescued a lot of animals and oftentimes we are not planning to rescue them, but we end up with a lot of stray pets. Right now, we have four cats, two dogs and a hedgehog. Two of our cats, I picked up on the campaign trail. They were strays. DGW: That’s impressive. Speaking of the campaign trail, this is the second term you just won, but let’s go back a little bit. You are not originally from Nashville, are you? AF: I’m originally from Mississippi, but we moved around a lot when I was growing up. I’ve been in Nashville since about the mid-1990s. I have been here longer than I’ve lived anywhere else. DGW: So four years ago, you decided out of nowhere that you were going to run for school board. I should say it seemed like it was out of nowhere. Exactly how did that all come about? AF: Well, I had been doing a lot of work at my children’s elementary school. When my daughter started at Gower Elementary, we had a very small PTO. The year after she got there, we were flooded in 2010 [Nashville was the victim of a flood in 2010], and we ended up having an immense amount of help from our neighbors and people throughout the city – and even people from other states – who were willing to come and help us rebuild our house and clean up the mess after the flood. There was just an immense amount of support, and I decided, in that process, that I wanted to give back to people. So I decided to become more involved at the school. The PTO had recently died out, and so essentially two of us parents offered to try to rebuild parent engagement at the school. We started small, but the more we did, the more exciting it became, and the more we were able to accomplish. We ended up building about 15 new community partnerships for Gower over the course of about a year, and we dramatically increased parent engagement through that process. We learned what an impact that had on the school’s performance and the atmosphere and culture of the school. Five years later, that school had a wait list and its performance improved. People in the neighborhood were excited about the school. So having seen what happened at the local level, I hoped when I ran the first time that I would be able to do that sort of work on a larger level and support the schools in my area and throughout the city. That’s why I ended up running for school board. I really did not understand all the outside influences bearing down on the school system, and I did not understand all the pieces of the puzzle. I learned that after I got on the school board. I’d hoped to talk about how to improve our local schools. I did not anticipate that we would end up talking about charter schools for four years, but that conversation ended up being a very necessary conversation for the city. DGW: How aware were you of these outside interests when you were first elected, and how did you become educated? Was it a gradual awareness, or was it more akin to jumping into the deep end of a pool? AF: The day after I was elected, the Wall Street Journal called me. That was my first inkling that I had gotten myself into something much bigger than just the local election and that there was a lot of national attention. I was really shocked by that. Our first vote on the board was to vote on Great Hearts, which was a highly controversial issue. I think it was unfortunate that we didn’t have time to learn the role of a board member and to adjust to our new roles before we were forced to vote on Great Hearts Academies. So once we were seated, it took off like a rocket. But it would take me about a year to really put all the pieces together. I was able to do that because I worked at the State Legislature quite a bit, helping to advocate and learn what’s happening at the state level, and when I was able to see the amount of money pouring into the state and how laws were being passed to benefit privatization efforts, a lot of these pieces became clear to me. I did a lot of research on education policy when I decided to run, but I did another years’ worth of research as I was working as a board member, and that’s when I think it became clear to me what was happening. DGW: That kind of mirrors the way I got involved. I started off really looking at TFA because it offended me that they thought people could be ready to teach with only five weeks of preparation, and then next thing you know, I’m looking at the Achievement School District. Then I started seeing all the money pouring in. It makes you start asking why. DGW: Now in that first race, your opponent raised over $100 thousand dollars? AF: I think she ended up with a $125 thousand, and I ended up with about $25 thousand. DGW: And that’s still the record for money raised for a school board race here in Nashville? DGW: So in this last race this year, things got real. They tried to throw everything possible at you. We don’t actually know what amount was raised in this race yet, do we? AF: We don’t have final totals yet. It was a different race because a lot of the money spent in this election was not given directly… but by outside organizations. It’s been estimated that around $150 thousand, maybe a little more, has been spent against me this election cycle. DGW: It’s been interesting because with that kind of money involved, the conversation become about authenticity. It seems that authenticity is your not-so-secret weapon. AF: I think that in both races, I went out and knocked on a lot of doors. I talked to a lot of people and ultimately I think we’re realizing that’s what works. You have to talk to people, you have to talk about the issues, you have to make personal contacts, and I think just having been very active on social media and responsive to constituents, that I have built a level of trust among parents and teachers who understand what I’m trying to do. And you can’t fake that in a campaign. DGW: It’s amazing because the local media has not been very supportive of you. The Tennessean has attempted to marginalize you by running pictures of you with stories that are generally unflattering and have tried to make you look shrill or paint you as always complaining. In their endorsement editorial, they referred to you as divisive. Yet you won by over 60 percent? AF: (laughing) About sixty-five percent. DGW: So the narrative the paper is pushing and the narrative of what’s actually happening on the ground seems to be greatly different. Is that a safe assumption? AF: Yeah, I would never have believed that the mainstream media is operating with such a slant, with such a bias, had I not walked through this experience myself. I have watched the local papers get the facts wrong and give misleading statements. I have never in my life been referred to as divisive; that’s not my nature. I really don’t have enemies, and so it’s been very frustrating to me to have the paper continually try to paint me in some light that’s just not true. I think we made it clear during the election that the paper has just been wrong, and I hope that we’ll be able to build a more truthful and collaborative conversation over the next four years. I think that a lot of folks behind the local media are supporting charter schools and the privatization of schools, and they do want to shut out voices that oppose that agenda. And that’s what it comes down to. Since I’m not beholden to anyone or any organization, I’m willing to stand up for what I believe in and tell the truth as I see it. DGW: There has been some talk that this last election, because it was so overwhelming – you won by over 60 percent, Christiane Buggs won by 50 percent in a four-person race, and Jill Speering won by over 58 percent – and that all of you defeated candidates supportive of charter schools, that voters are saying they are tired of the charter school conversation. And they want to have a different conversation. What are the some of the things that you would like to see the conversation focus on? AF: I think several of us who have served on the board laid the groundwork in the last four years. We have a good comprehensive EL plan in place, we have a good literacy program in place, and we are looking to increase the budget for community schools programs, which would partner schools with outside agencies to bring services to children in low-income schools. I have pushed to reduce testing and much of that is really a federal and state conversation, but I think there are things that we as a district can do to help reduce testing. We need to be driving the conversation with the state, and I hope that our new Director of Schools will be willing to have those conversations with the Tennessee Department of Education. I’ve also been very interested in whole child education, ensuring that we are meeting the needs of the whole child, so instead of just focusing on test results, we are making sure that we address social and emotional needs. We are providing each child with a rich, broad curriculum that includes art and music and opportunities for physical activity. I got the first policy passed to require daily recess for young children. DGW: I’ve heard a lot about that. Parents are pleased because kids in elementary school are now getting two 20-minute blocks a day. Some people don’t understand the importance of that because 20 minutes seems like a long time, but when you line up kids and you take them out to the playground, line them back up, bring them back in, it’s a bare minimum. AF: Right. And children learn through play, and there is a lot of evidence that if children have opportunity to move their bodies, they’re better able to focus in the classroom. There are social and emotional benefits to recess, there are physical and health benefits, and I think a lot of this is just common sense because I’ve been around children. But we’ve strayed so far from the focus on healthy child development that the way we’re educating children, it’s often just absurd at this point. DGW: We were talking recently about the effect of trauma on kids and the importance of the community schools and being able to meet those children where they are. We can’t just tell them they have to overcome the trauma that’s in their daily life. Plenty of studies have shown the impact on the brain of the trauma that kids are facing at home. It’s not a matter of just having high expectations and instilling grit. AF: I worked at a homeless shelter, so that’s why a lot of this makes sense to me. When we work with the homeless, we have to ensure that multiple needs are met at the same time. So when a homeless person seeks help, they often have different needs that are not being met, and unless you’re able to meet a variety of needs at the same time, they are unable to move forward. They may have a lack of education, they don’t have housing, they may have medical needs – if you address one of those needs and don’t address the others, then they’re not going to be able to move forward. I think it’s the same in the schools, in a sense that we’re meeting the child at the point of need. We have to make sure that they have glasses so they can see the chalkboard, they have a coat, that they’re fed, that they have opportunities for enrichment, that they have opportunities for good high-quality early learning experiences like pre-k. All these things prepare them to learn and set them up for success. You can’t leave out any one piece of the puzzle because then the child with unmet needs is not going to perform well in school. DGW: Before we wrap up, I think one of the blessings in this day and age is that there is an alternative route to getting the word out. Can you speak a little bit on the value of social media? AF: Yeah, I would not be here but for social media. The first time I ran, the common wisdom among politicos was that you don’t use Facebook in an election, and you don’t use social media. Things have really changed in the last four years. When I initially ran, I had to use Facebook. I kind of ran a Facebook campaign during the first election cycle because I didn’t have the money to get my word out otherwise. I think it’s a good thing that there are more voices involved in these conversations now and that there is a counter-narrative. You don’t want just those who have access to the mainstream media or people with money to influence all of the discussions. I think that social media can sometimes become negative, but I think in general it’s a good way to get information out and to share your message. DGW: I’m 50, and my generation tends to ignore or downplay social media, to look at it as some kind of distraction, but I think that they’re missing the point. It’s a new form of communication. DGW: And as a new form, you’ve got to pay attention. The thing that I have found remarkable is it allows conversations that normally took place in back rooms, where I could tell you one thing and then go tell somebody else something else, and then go tell something else to another person – you can’t do that anymore. All of a sudden you have millions of fact-checking eyes on you, and you can’t just say something and have somebody believe it. So I think it ups the ante on every conversation. AF: Right, and it increases the transparency. I think, since I was elected, I’ve tried to shine the light on certain things happening behind the scenes because those conversations really impact the public dialogue. We have to have honest conversations if we want to create change in the school system. DGW: Making change in schools is hard work. It’s exhausting, and sometimes I get jealous of the reformers. They all collect paychecks, and we don’t see any of those kinds of monetary gains. There is no money in being on this side of the fight. Our gains are much more intrinsic. AF: In the midst of the election, my husband sent me a clip of Reverend Barber discussing callings, and how when you’re called to service it’s often not convenient. It’s often very difficult and it is exhausting, but we are not allowed to give up. We don’t get to determine when it’s done. I think many of us have made huge sacrifices to continue to try to advocate for students and our teachers and our families. I’m a lawyer and I can tell you I’m not making much of a salary for this work, but I think it’s the most important and most meaningful work that I can do. I feel that I’ve been given a unique opportunity to make an impact, and not many people have that opportunity. I’m not allowed to squander it even though I often would like to just move to an island, buy a tiny house, and be done with the controversy because I really hate controversy. I don’t like conflict at all, and I’ve been in the midst of the worst sort of conflict for four years. But the work’s not done, though I think we have made a lot of headway. We’re ready now to have positive conversations and shift the focus on to work that I think will make the greatest impact on the greatest number of children. And I think that’s what the next four years will be about. DGW: Last thing that I wanted to talk about is the role of our spouses and families. As activists, we get the feedback and sometimes the accolades. For our spouses and families, there isn’t that. This work consists of a lot of late-night phone calls, a lot of time writing blog posts – my children are fond of saying, “Are you on the phone again?” I think it’s one of the things that needs to be pointed out repeatedly – none of this would be possible without the support of our spouses. AF: I mean, I wouldn’t be able to survive if my husband weren’t supportive of this effort. And I do think it’s been hard on our families and children a lot, but again I always sort of strive to find some sort of balance. I’m not very good at it sometimes, but I think it’s just very important work. And we are impacting not just the 88,000 children in our school system, but also we’re making a national impact here in Nashville. So we’re not allowed to give up, but we’re very thankful for the support of those around us because no one can do this work alone. Great interview! So good to read something positive! Congratulations, Amy Frogge–& for all of you who fought back!